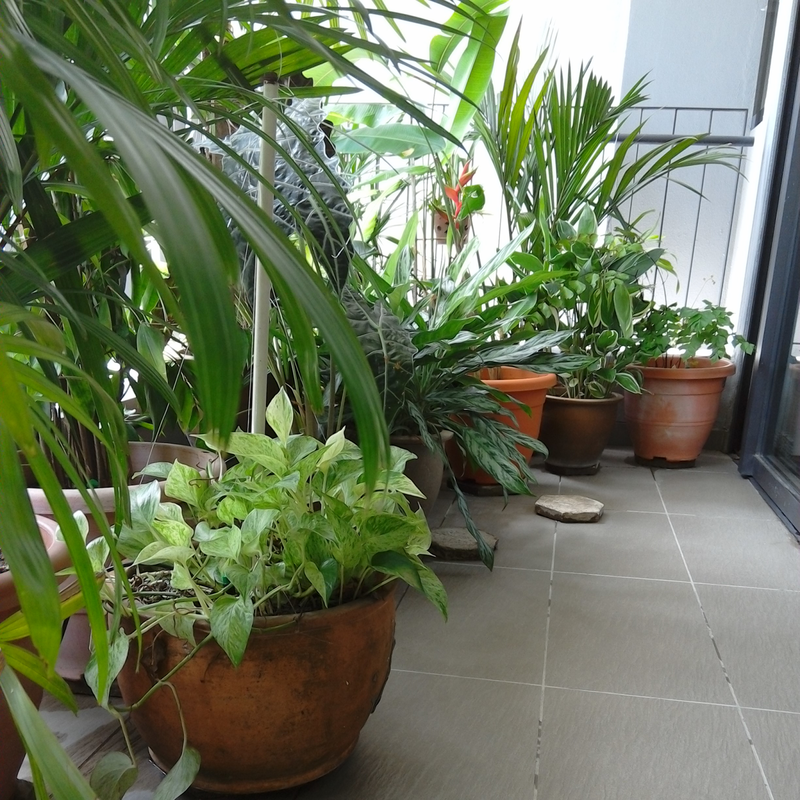 Like to have a balcony or garden full of lush green plants, even when you are not there to water them? 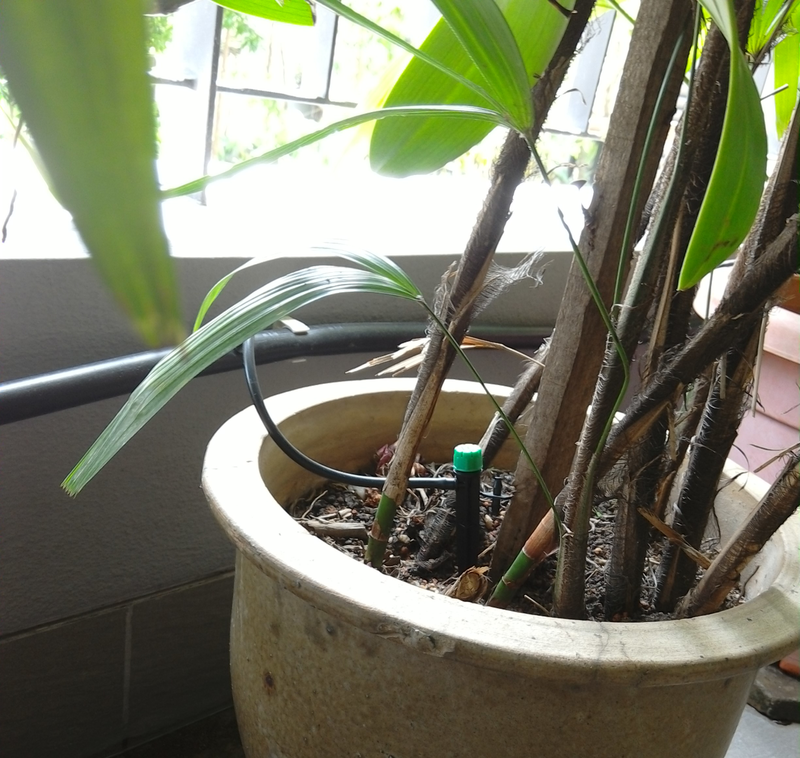 I do, and I have such a balcony and I’ll show you how I did it in this post on how to set up an automatic drip irrigation system with timer. This is not my usual recycle project but its definitely a DIY and one that I’m very proud off. 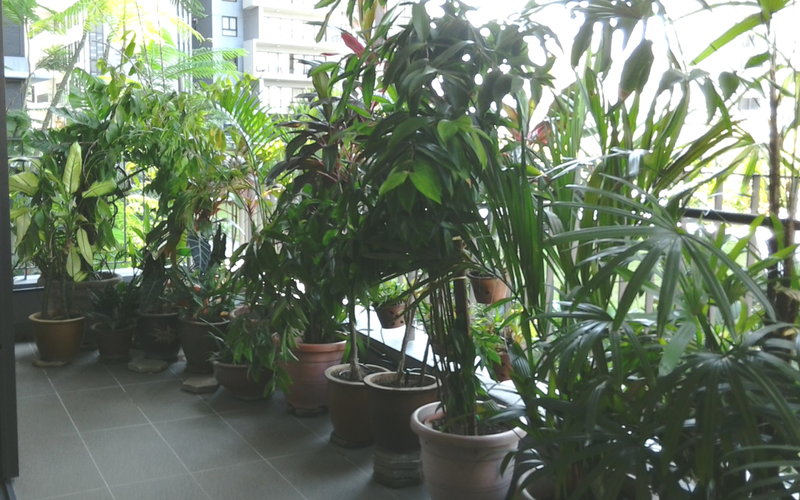 Mum has been living in houses with gardens her whole life and she has a huge collection of potted plants. 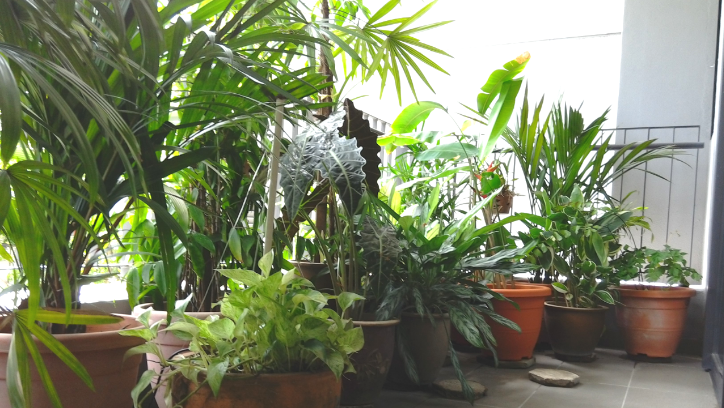 Palms, bamboos, ferns, succulents, orchids and greens that don’t really fall into any of the earlier categories. Some of these plants were given by family and friends and to cut a long story short, she is very attached to them. So when she downsized and moved into an apartment, she decided to take them along with her. 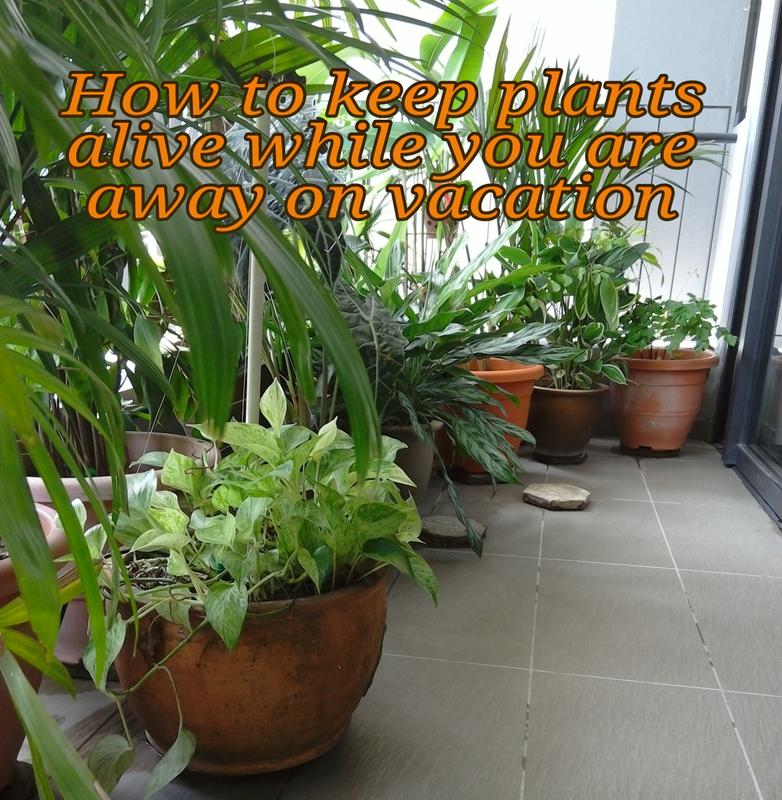 She plans to spend a lot of time in Australia, where my sisters and I live, and she was resigned to the fact that she would loose these plants eventually as there would be no one to look after them while she is away. Luckily for her, she has a smart and hands on daughter (self satisfied smirk here). The apartment balcony has a tap. So it was an easy feat to devise an automatic garden drip system for watering the indoor plants. I couldn’t find a suitable drip irrigation kit, so I built one from scratch from components I found in the local hardware store. My sisters also brought some when they visited from Australia. The system consists of a Pope battery operated timer, 19mm main feeder hose, 4mm hose with dripper attachments to the individual pots, a few 19mm elbow bend attachments to take the main feeder hose around the perimeter of the balcony and a 19mm stopper. 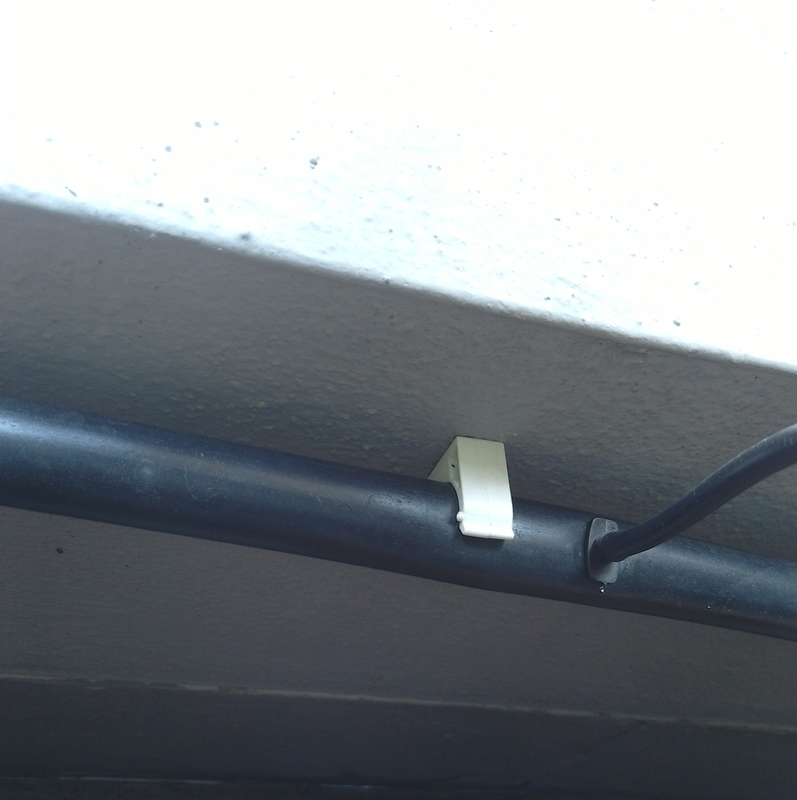 I also had these mounting clips attached to the wall so that the 19mm hose could be neatly held against the wall. The first step was to change the existing tap to one with a 3/4 inch connector so I could attach the timer securely to the tap. See how the timer screws onto the tap. I was quite happy with this as I didn’t want the water pressure to push the timer away. 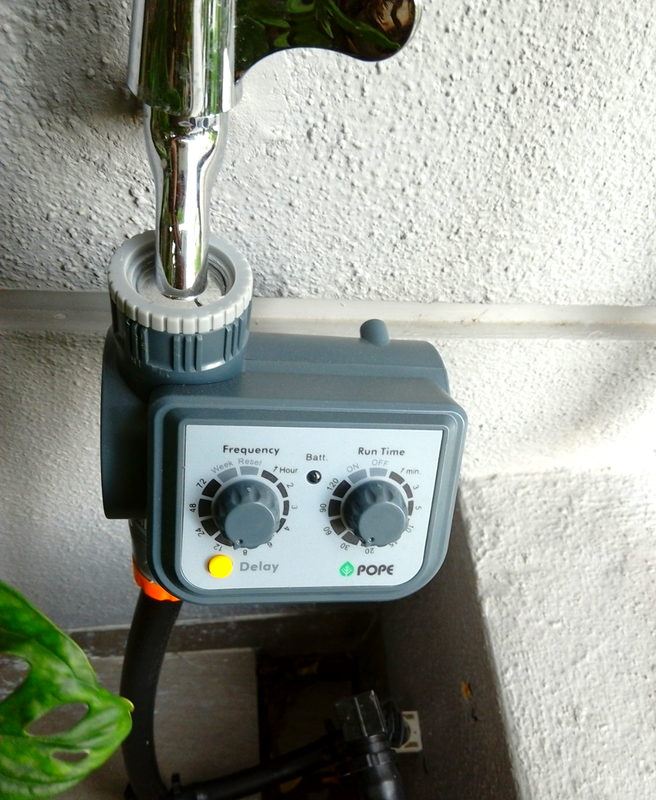 As you can also see the timer has two settings – one to control the frequency of watering and the other to control the run time of each session. Then I laid out the main feeder hose. One lesson I learnt while working with long lengths of feeder hose was to avoid kinks. Once that hose kinks, you either have to replace it or cut it and add a connector. So unroll an approximation of the length you want and try to straighten it as much as possible before mounting it in place. Once the main hose is in place, position your plants. Spend a few days arranging the plants to your liking before punching holes into the main hose to attach the drippers. There are 4mm stoppers that you can put in place to fix mistakes, but you want to keep them to a minimum. So getting the pots positioned just right helps. I used the drippers pictured below, which are on a stand. The next step is to work out what water pressure and frequency and duration of watering is required to keep your plants hydrated. I wanted a slow drip of water with as little water wasted as possible. This is complicated by the fact that mum has a number of hanging orchids. If the water pressure is too low, the drippers higher up don’t deliver enough water. If the water pressure is too high the lower pots get over watered. I’m still trying to fine tune this aspect of the watering system. The automatic drip irrigation system has been in place for four months (updated 19 April 2016) and its definitely keeping the plants alive. I haven’t needed to take the watering can out and we’ve gone away for a month in that time too and there doesn’t seem to be any sign of wilting. I also love how you can’t see the hose once the plants go in. Definitely a successful project and a useful one. It’s also something that can be adapted easily to create a garden drip system with in-ground and potted plants. There is also an environmental benefit, as drip irrigation has been proven to save water. Who doesn’t love saving water! After testing the waters with this drip irrigation system, I’m thinking of branching out into a bigger project – setting up a vegetable garden with an automatic irrigation system. I hope I have inspired you to install a home automatic drip irrigation system too.